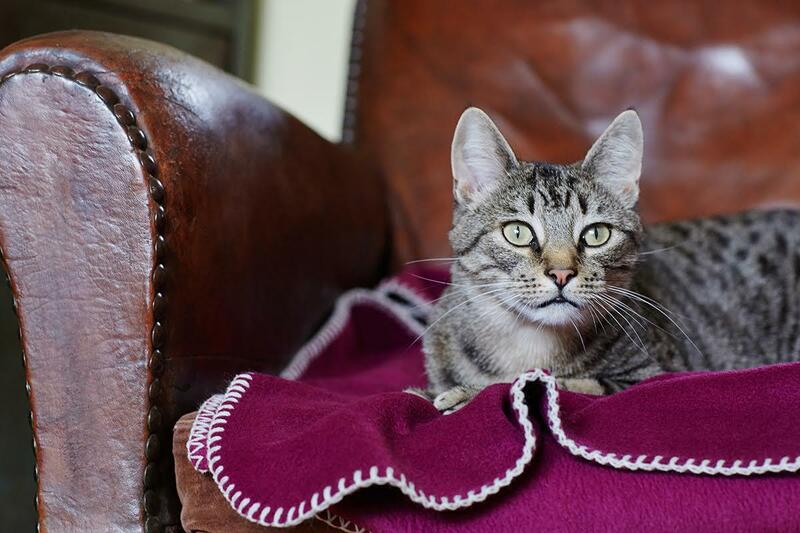 Brought to you from our design studio in Bristol, our luxury pet blankets feature thick plush fleece on one side and sturdy printed designer cotton fabric on the other. Choose from six different designer fabric styles in sizes small, medium and large. The blankets are washable at 30 degrees. Dry thoroughly before use. Not suitable to be tumble dried as shrinkage may occur. Fabric designed and manufactured in England. Blankets handmade in Bristol, England. With 3 cats I had to buy one for each cat as they love them! Mable the cat asleep now on her little blanket - claimed it as soon as it was unpacked. Lovely quality, very pleased with this item and would recommend. Beautiful blanket & good quality. Excellent service as always. Very pleased with all purchases from Natural Pet-Toys. Lovely quality product. Beautifully made and very soft too. Ideal for the tiny little foster kittens that I have. Will definately be purchasing another. My cat thinks Christmas came early this year! Speedy delivery of lovely, well made blanket. Bought 2 blankets for 2 cats and each cat knows who they belong to! Very happy owners and cats. Thank you. Exhibition Stripe Blanket Extremely good quality blanket I got to spoil my 6yr old cat while he has been ill. The brightly coloured pattern certainly attracted him & he’s slept on it every day & night since it arrived. Getting him another 1 as he loves it so much! EXCELLENT CHOICE! 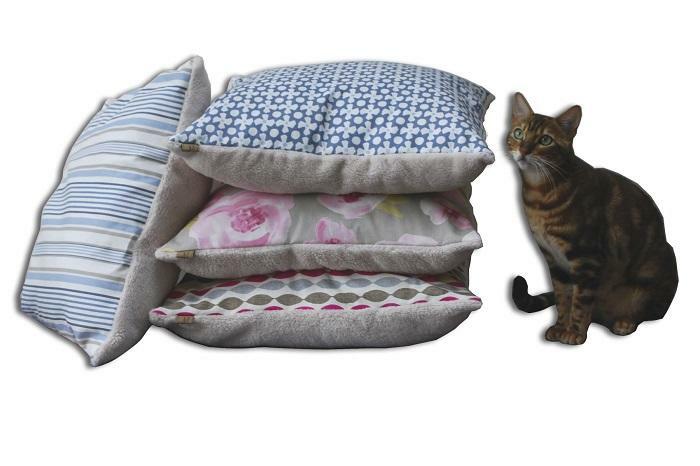 Bought 1 of these to spoil my cat & he took to it so much that we have gradually built up a small collection of 3 different medium sized one’s so he has one in nearly every room! Looking to buy a fourth for his pet carrier next! Absolutely amazing & good quality.